WHY CHOOSE STAINLESS STEEL BI-LOK PIPE FITTINGS? Proudly manufactured in Meadville, PA, USA. Bi-Lok Series D Dual Ferrule Stainless Steel Tube Fittings offer superior corrosion resistance by utilizing the Internationally patented Nv Pionite Surface Treatment Technology. This innovative surface hardening treatment yields a stable austenite structure layer while maintaining corrosion resistance. Only the leading edge of the back ferrule is treated. Although this requires additional steps in the manufacturing process, the result is consistent low make up torque without the need to reduce the mass of the back ferrule or risk damaging a fully hardened back ferrule during fitting makeup. Bi-Lok Series D Dual Ferrule Instrument Tube Fittings are not only interchangeable, but are component by component intermixable with other popular brands of like design dual ferrule tube fittings. Independent third party testing and years of field experience conclude that piece by piece intermixing in various combinations yielded no performance degradation. 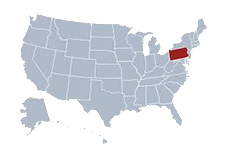 Generant is committed to manufacturing in the USA, which is why Bi-Lok Series D Dual Ferrule Tube Fittings are proudly manufactured at our Meadville, Pennsylvania facility. Bi-Lok Series D Dual Ferrule Tube Fittings are manufactured to the requirements of our ISO 9001 certified Quality Management System. All aspects of manufacturing are conducted in accordance to documented procedures with control points throughout the process. 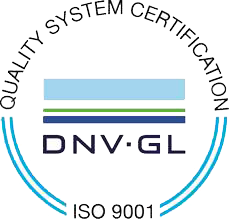 With the goal being to provide our customers, suppliers, and employees true value through a strong commitment to continuous improvement in the quality of our products, services and working environment. For more than 30 years, Bi-Lok Series D Dual Ferrule Tube Fittings have been successfully proven in many of the most demanding applications and environments. BI-Lok provides cost effective fluid connector solutions to industries such as oil and gas exploration, semi-conductor manufacturing, petro chemical, industrial and medical gases, chemical process and refining.